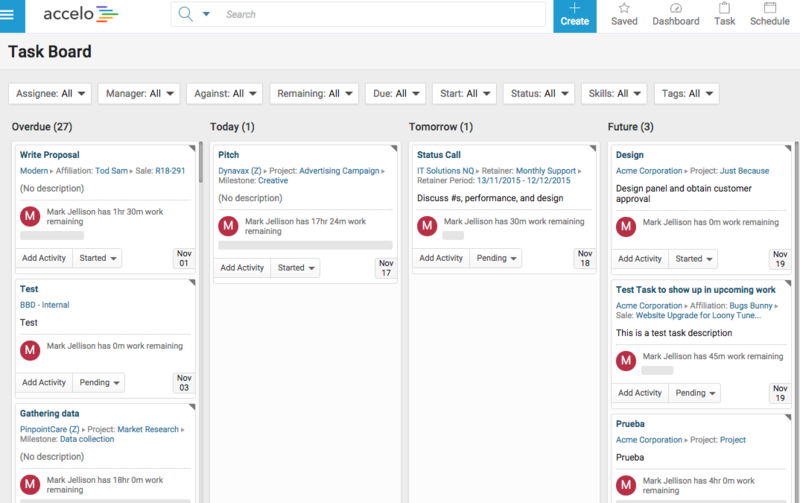 A seamless approach to task management. Let individuals focus on what they need to do while their task-level changes are automatically reflected in the overall project plan. 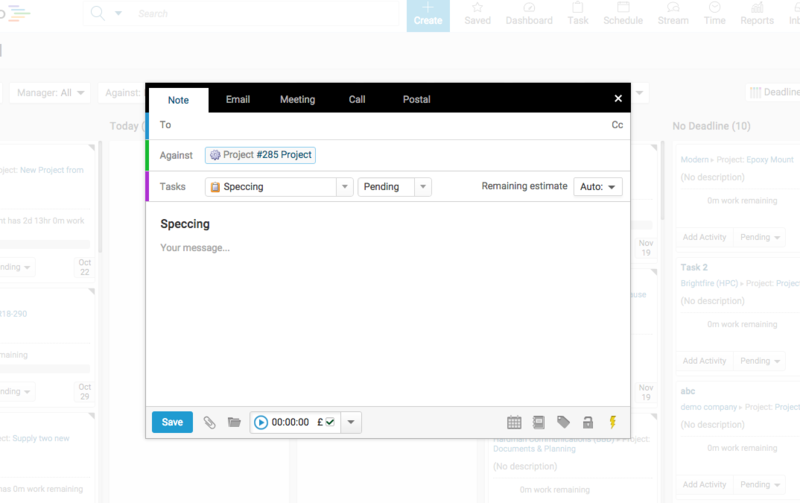 You can easily reorder and reassign your tasks and have them automatically reflected on the project, issue or sale. Manage your staff, resources and time in one go, and even notify your team when you rearrange a task. 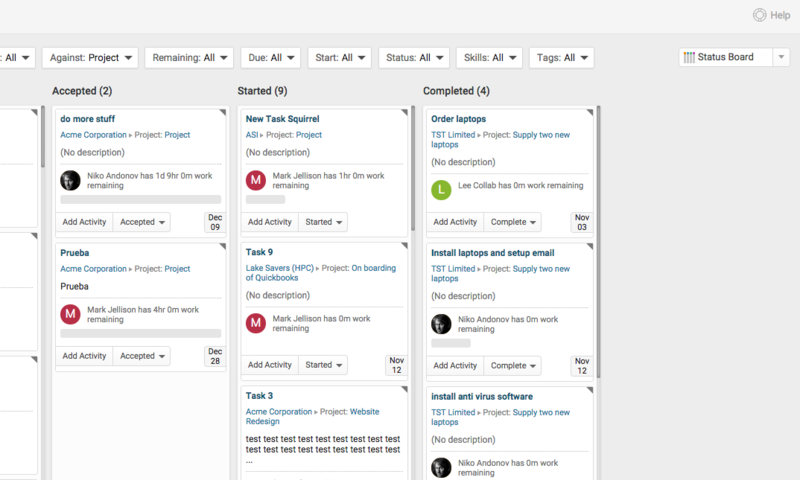 Log and complete your work right from the task board and have it reflected on the project, issue or sale, making it easy for you to change the status of multiple tasks using just one screen. Know exactly which tasks you’ve been assigned, completed or have left to do. This way, you can get a complete overview of your work and better allocate your time towards it. Integrate directly with your Google, Exchange/Outlook or Office 365, so any tasks you have listed in other platforms are automatically synchronized. Easily configure recurring tasks that will appear during the designated time period on your calendar, making it easy for you to restart recurring projects and have all tasks be automatically created and assigned to the right person. 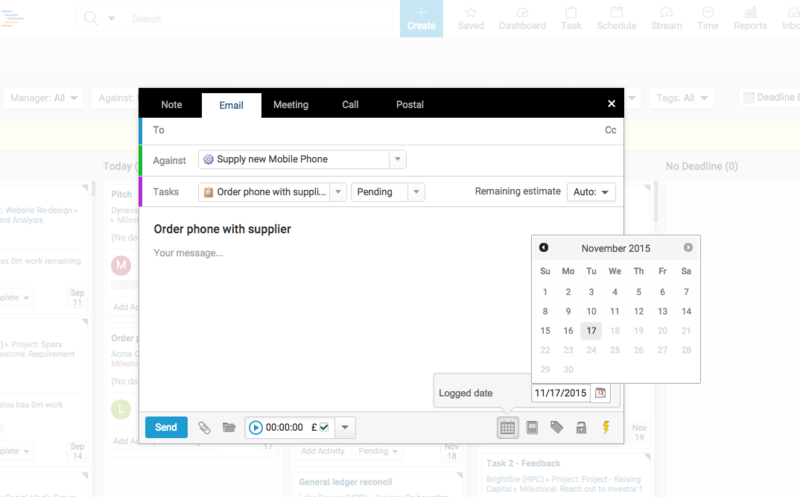 Now, you can easily set task priorities based on due date, status or workload with the filtering bar. 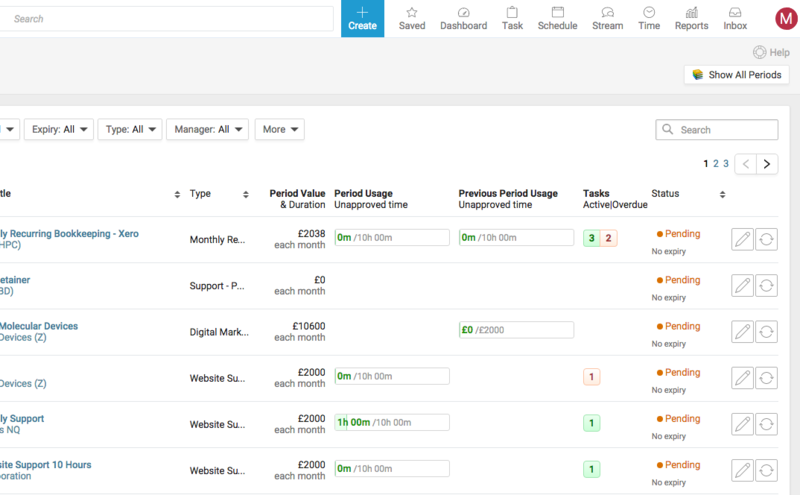 View tasks by due date, status, workload and type to narrow down the work you’d like to use.